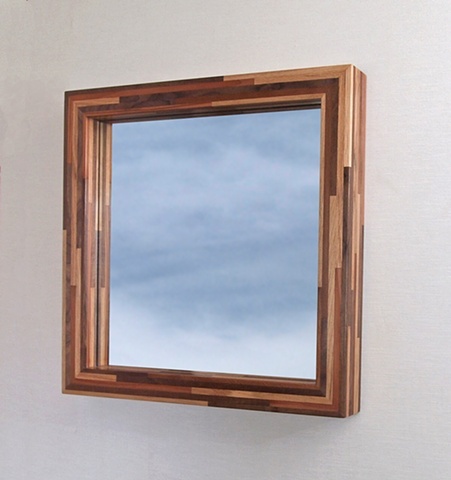 Modern square wood mirror frame made with primarily scrap and salvaged wood strips applied to salvaged Timberstrand. The wood varieties include oak, alder, walnut, and redwood. The finish is gel urethane with a hand rubbed wax finish.